Several trade unionists in Britain called on the Turkish government to release 24 workers who protested for their basic rights, including edible food. 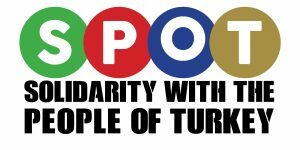 Several trade unionists in Britain including RMT, UNITE, BFAWU and TSSA called on the Turkish government to release 24 workers, who protested for their basic rights, including edible food, improved living conditions, better transport and to regularly receive payment. Like other European trade unions, British trade unions declare full support for the construction workers and they will continue to be in solidarity with them. Unions are also monitoring the situation closely. 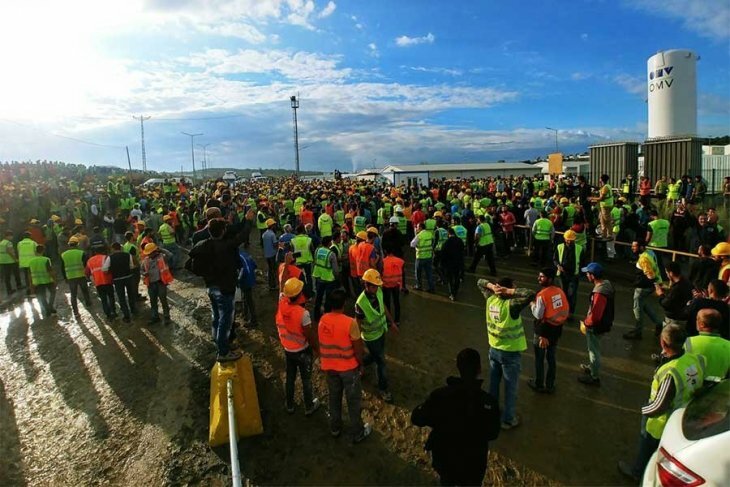 On behalf of Unite, the UK’s largest union I call upon the Turkish Government to release without delay the construction workers arrested and imprisoned for participating in a protest for decent working conditions. Construction is a dangerous industry but all risks to life and health can be prevented by responsible management. Unite is distressed to learn that in a ‘race against time’ to complete the airport safety standards are being swept aside. This is unacceptable, no project is worth such destruction to workers and their families. The reported absence of proper welfare facilities, careless transportation resulting in accidents, the non-payment of wages and an aggressive culture is to be condemned. The Construction Workers Union has the serious responsibility of representing and defending workers against such abuses. Imprisonment will not silence them nor will Unite be silenced. We stand shoulder to should in solidarity with workers demanding decent work and pay. Solidarity to our sisters and brothers who have been arrested for standing up for workers rights. The Turkish government must release them immediately as this is a flagrant violation of ILO conventions and humans rights. If they don’t, they will rightly be condemned for their repressive and undemocratic actions. Victory for the workers! The BFAWU condemns in the strongest terms the actions taken on behalf of the Erdogan Government by the Turkish Police and gendarmes in attacking workers standing up for their rights not to be killed or injured at work. We call for the immediate release of the 24 workers arrested for exercising their rights to protest at their workplace conditions. The BFAWU will commit to raise these dreadful events the suffering and injustices that is happening to the workers across Turkey through our trade union links. 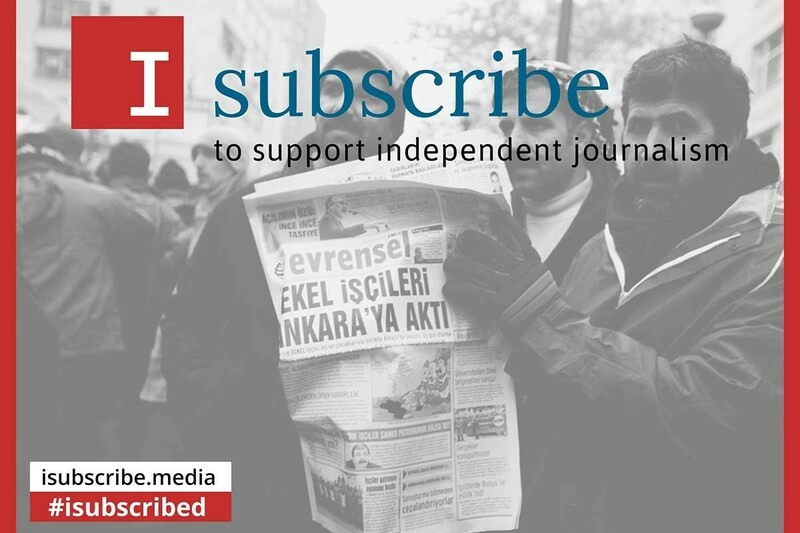 We send our support, best wishes and solidarity to all those standing up and fighting for their basic rights of health and safety at work for freedom of expression and acces to justice.